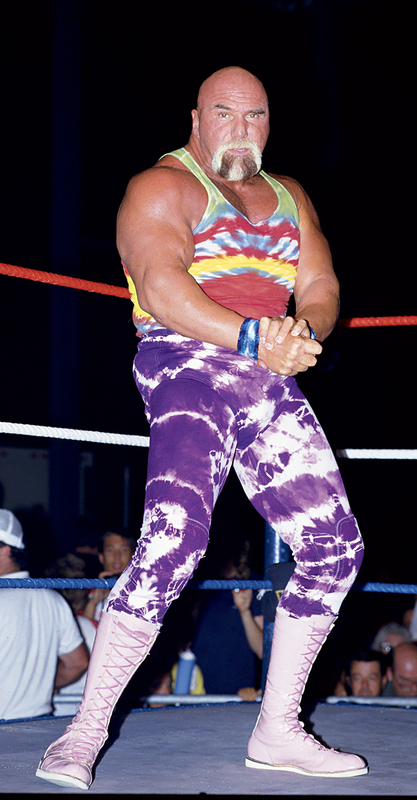 "I'm the man of the hour," Superstar Billy Graham told his audiences, "the man with the power. Too sweet to be sour!" Despite years of devastating health issues (a long history of drug abuse led to a liver transplant in 2002), the man regarded as one of the most influential professional wrestlers of the past thirty years still flaunts the same optimism that made his interviews as compelling as his matches. In Tangled Ropes, his autobiography, Graham remembers his victories -- and his setbacks -- on both the wrestling and the evangelism circuits in vibrant detail. At his core, Graham is still Wayne Coleman, the artistic, curious boy who escaped the wrath of his disabled father in post-war Phoenix through painting, sports, and bodybuilding. When his photo appeared in a bodybuilding magazine, the young man caught the attention of a family in Texas who began praying for his soul. Soon, Wayne found religion at a revival meeting, then mortified his parents as he left home to bend steel, rip phone books in half, and preach the Gospel on the back roads of America. Because of his natural athleticism, Wayne held a series of jobs -- from bouncer to boxer, from repo man to football player. However, it was under the training of the "Mentor of Mayhem," Stu Hart, that the wrestler was revealed. Then the fading headliner Dr. Jerry Graham bleached Wayne's hair blond and transformed him into an in-ring "brother." Still reverent of men of faith, Coleman became "Billy Graham," after the preacher. Graham completed the package with his golden tan and enormous "pythons," a succession of color-coordinated outfits and jive-talking -- a persona imitated by countless wrestlers, including Hulk Hogan and Jesse "The Body" Ventura. The Superstar's greatest wrestling achievement came in 1977, when he took the World Wide Wrestling Federation Championship from Bruno Sammartino. He held the prize for nearly a year -- the first wrestling villain to do so. But after he lost the title to wholesome Bob Backlund, Graham fell into a deep depression. He disappeared from the business, squandering his money and losing himself in a haze of drugs. 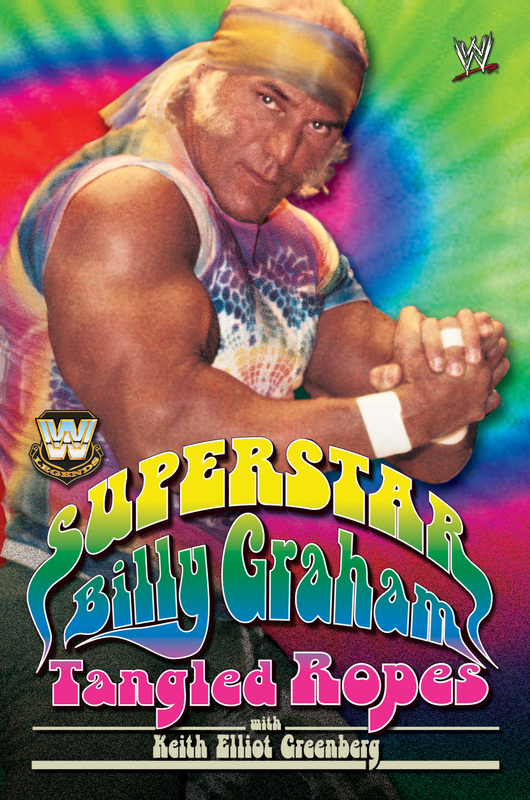 In Tangled Ropes -- co-written with Keith Elliot Greenberg -- Superstar Billy Graham tells a story that transcends his life in the wrestling profession, offering candor, nostalgia, inspiration, and humor. Graham's narrative is supplemented by anecdotes from personalities like Vince McMahon, Jesse Ventura, Ivan Koloff, Ric Flair, Dusty Rhodes, and California governor Arnold Schwarzenegger. Billy Graham became one of the top stars of the W.W.W.F. due to his showmanship and mind-boggling physique. He won the WWE Championship in 1977 and held it for nearly ten months, the longest reign for any ring villain in WWE history. He made a brief return to WWE competition in the late 1980s and enjoyed stint as a manager and a broadcaster. Graham was inducted into the WWE Hall of Fame in 2004 and currently lives in Paradise Valley, Arizona.